Chestnut: A recessive gene, chestnut requires that both parents pass a chestnut gene to their foal in order for it to be chestnut. If you breed two chestnut horses to each other, you are guaranteed a chestnut foal. 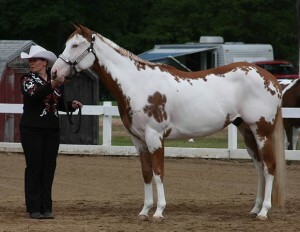 Pinto: Pinto, not Paint, is the correct term for horses with large splashes of color and white on their bodies. 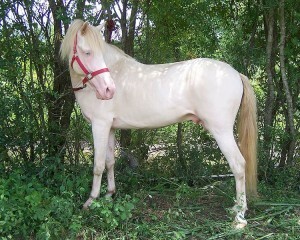 Paint is a registered breed of horse, pinto is a color gene. (Of course there are minimally expressed pintos with little white that may not be obviously pinto until you look more closely or have them DNA-tested.) 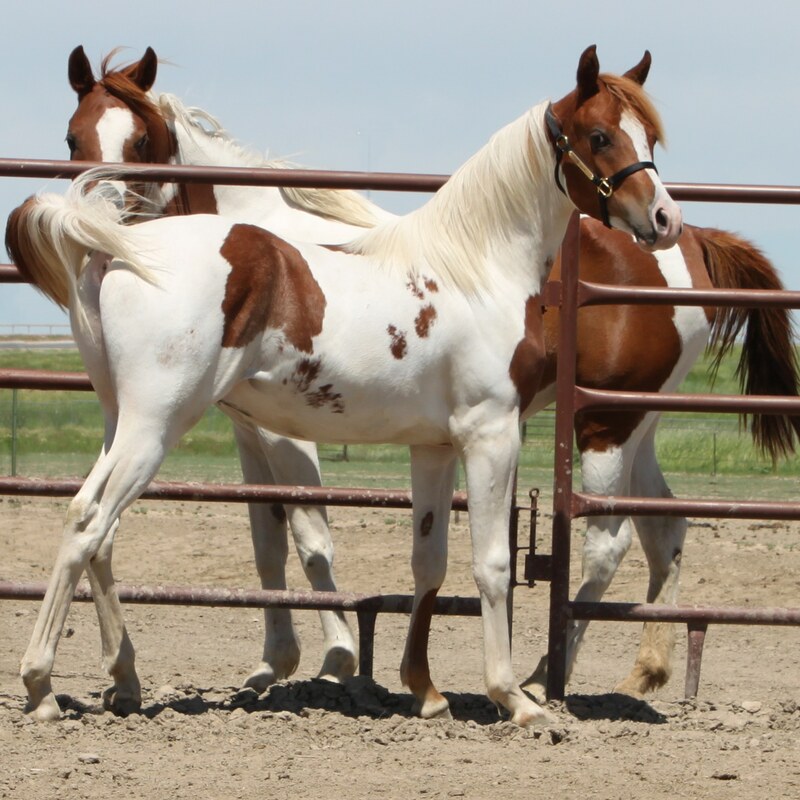 Pinto is dominant, meaning a pinto horse always has at least one pinto parent and will always show some kind of pinto characteristics, even if it’s not obvious. The two most common types of pinto are tobiano and overo. Tobianos almost always have four white hooves — the main exceptions tend to be Miniature Horses and ponies (like Shetlands), which occasionally will have one dark leg, but almost never two dark legs. Tobianos tend to have smoother, rounder areas of color and the white will typically cross over the back at some point. Some horses are homozygous tobiano, meaning they carry two tobiano genes and only produce or sire tobiano foals. Homozygous tobianos can sometimes be identified by lots of “cat tracks,” or small, round spots of color anywhere on their bodies. Grey is not actually a color — it’s a process of depigmentation of the horse’s base coat color. Overos often have jagged white markings on a colored background, and the white usually does not cross over the back. Horses that are homozygous for the gene (meaning they carry two overo genes) always develop Lethal White Syndrome and have a non-functioning colon that results in death within a few days of birth. Responsible breeders don’t breed two overos to one another since the risks are high of producing a Lethal White overo foal that will die. Cream: The cream gene is what gives us palominos, buckskins, smoky blacks, cremellos, perlinos, and smoky creams. When applied to chestnut, the cream gene produces palomino; when applied to bay, it produces buckskin; and when applied to black, it produces smoky black (but often appears brown). If a horse inherits two cream genes from its parents, it’s called a “double dilute.” If the base coat color is chestnut, the horse becomes a cremello, and if the base coat color is bay, the horse becomes perlino. A smoky cream is the result of two cream genes applied to black. Double dilutes are very light-colored horses with blue eyes. A dilute horse will always have at least one dilute parent, even if neither parent looks like it carries a dilute gene. Because smoky blacks can look like seal brown horses, their owners may be unaware they carry a cream gene until they produce or sire a dilute-colored foal. 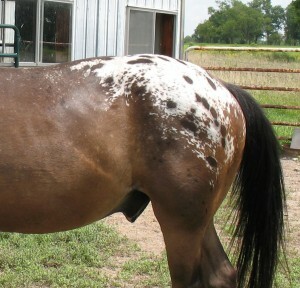 Appaloosa markings: Appaloosa spots can appear on horses that have little or no registered Appaloosa breeding (such as the European Knabstrupper breed). In this instance, I’ll refer to appaloosa patterns with a small “a” because I’m talking about the color gene, not the breed of horse. Similar to the cream gene, the appaloosa gene affects a horse’s color depending on whether the horse carries one or two appaloosa genes. But the appaloosa gene differs from the cream gene due to the wide spectrum of how it can affect a horse’s coloring. When a horse inherits a single appaloosa gene, the horse’s appaloosa coloring can range from a few white hairs on the body to a loud leopard pattern, and some patterns don’t express themselves until a horse is an adult. When a horse inherits two appaloosa genes, it’s homozygous for the pattern and will always produce or sire horses with appaloosa characteristics. 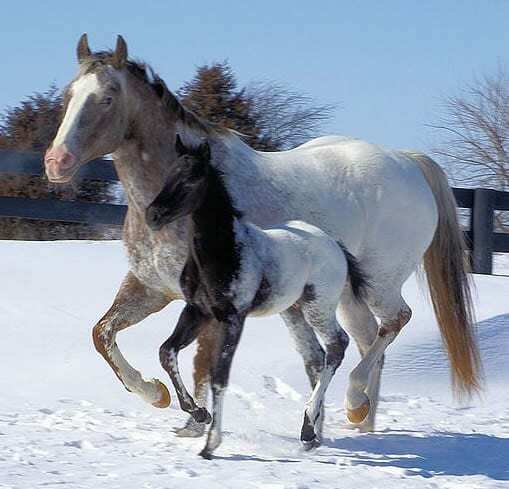 However, a homozygous appaloosa often will not have spots at all, instead displaying a solid white blanket on the hips or even a nearly solid white body with only a few colored hairs. These are often called “snowcap” or “few spot” appaloosa horses. 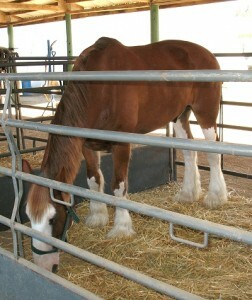 Sabino: The best known sabino markings are high white leg markings and wide blazes, like on the Budweiser Clydesdales. But sabino markings can also include extensive spots and roaning on the belly, chin, jaw, throatlatch, and other areas. 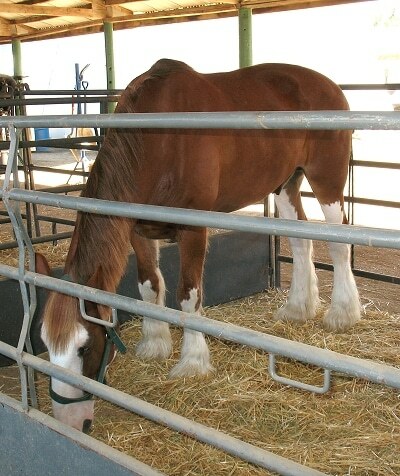 Surprisingly, recent research has shown that the gene responsible for sabino markings, SB-1, may not be found in Clydesdales and Arabians, another breed known for lots of “chrome.” Instead, it’s thought that Clydesdales and Arabians owe their sabino markings to a combination of other genes that haven’t yet been identified. When a horse inherits the SB-1 gene, it usually has white over large areas of its body, and when it inherits two SB-1 genes, it will usually be at least 90% white. Fortunately the SB-1 gene has no association with Lethal White Syndrome. These are some of the most common coat color “rules” you can rely on in horses, but there are many other uncommon colors and combinations. Lesli Kathman has some great horse color articles at EquineTapestry.com. 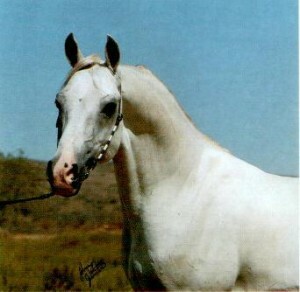 Read about a dunalino, a horse with both palomino and dun genes, and the lovely champagne color here at ilovehorses.net.